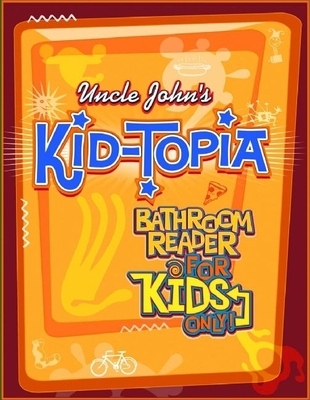 Psst: Don't tell the kids, but Kid-topia readers will get smarter while having a blast. The Bathroom Readers' Institute is a tight-knit group of loyal and skilled writers, researchers, and editors who have been working as a team for years. The BRI understands the habits of a very special market--Throne Sitters-- and devotes itself to providing amazing facts and conversation pieces. "Victorian naturalist Frank Buckland lived, breathed, and ate the animals he studied. A lot of testing happened at the Buckland breakfast table. Mice on buttered toast was a hit. Hedgehog was 'good and tender,' but crocodile was a disaster."